The idea to become a literary agent took root when I was serving as the chairperson of the Harbourfront Reading Series. One of the many perks was meeting publishers, agents, and authors from around the world and dining with the writers before their appearances. My role as chairperson led to meeting the great literary agent Sterling Lord, who shared my affinity for tennis, and who played tennis on the courts after both the French Open and Wimbledon. He eventually invited me to play with him. (I don’t recall getting a single point.) 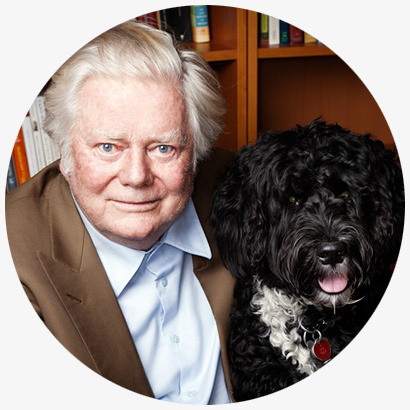 Spending some time with Sterling allowed me to catch a glimpse of the life of a literary agent; thus, I left my life as a venture capitalist and turned to the cultural side of business. Literary fiction, commercial fiction, narrative non-fiction, and what one might call current events (business, politics, industry, government, etc). Really, any sociological non-fiction. My tastes are extremely broad (except when it comes to rosé, garlic, and roasted lamb). While I represent a very limited number of children’s authors, the rest of my clients are pretty evenly split between writers of fiction and non-fiction—and some that cross that divide with aplomb. I have often said that I don’t know how I would navigate the world of publishing without Carolyn Forde and Bruce Westwood. They have been advocates, advisors, and friends over our ten-year relationship, treating me and my work with evident integrity and passion—a blessing to me in my work.